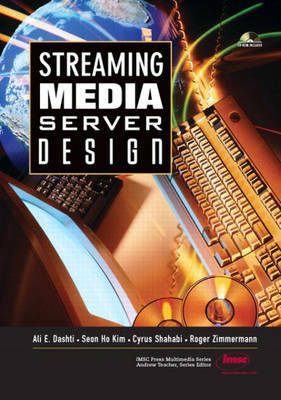 Streaming media servers: state-of-the-art design and applications Video, audio, and other streaming media (SM) represent the most demanding data types in a wide range of emerging applications, from corporate training networks to video-on-demand (VOD) and interactive TV. SM's large file sizes and real-time display requirements have required extensive innovation in storage, networking, compression, and server design. This book systematically reviews the fundamental issues and techniques underlying the design, architecture, and implementation of high-performance, large-scale SM servers.Coverage includes: *State-of-the-art techniques and applications, with theoretical underpinnings and mathematical origins *Extensive hands-on SM server design exercises *Data representation and placement in multimedia storage systems *Retrieving and displaying data at pre-specified rates: Avoiding "hiccups" *Optimizing server performance for diverse applications *Single-disk and multi-disk SM server design *Drive clustering and heterogeneous disks: supporting high storage and bandwidth requirements *Low latency system design for digital authoring *Super Streaming: rationale and techniques *Hierarchical storage, distributed SM servers, and other key techniques *Companion Web site provides lecture notes, software updates, errata, and Web resource links Whether you're a system or application designer, developer, SM or VOD specialist, performance analyst, or researcher, this book delivers start-to-finish guidance for building servers to support your most demanding applications.